Lucius Banda (born 1970) is a Malawian musician and politician. Until August 2006, he was an MP for the district of Balaka North, but lost his seat because he was convicted of having fake academic qualifications. He was sentenced to 21 months of hard labour in Zomba prison, but released in November 2006, three months and two appeals after his arrest. This experience inspired one of his albums, Cell 51 Maximum. 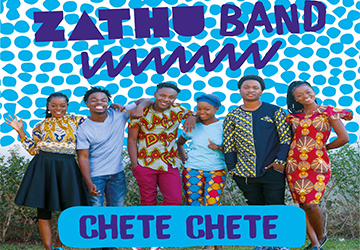 Banda started his musical career in the Alleluya Band, but later formed his own band, Zembani. He was controversial to Dr. Hastings Kamuzu Banda's regime. He was the first Malawian musician to sing openly against political oppression in Malawi during the decades of MCP's one-party rule. He has been host to many popular musicians, helping to begin the careers of Mlaka Maliro, Paul Chaphuka and Anthony Makondetsa. In 2010 he released another album, 15/15: My Song, that was banned by the state broadcaster, Malawi Broadcasting Corporation (MBC). In June 2010 Banda and other musicians from Malawi were invited to play in Germany. Their venue in cologne was the key point for an upcoming 2011 Lucius Banda Europe Tour. The travel of Lucius Banda to Germany reached a lot of public and political interest in Malawi.